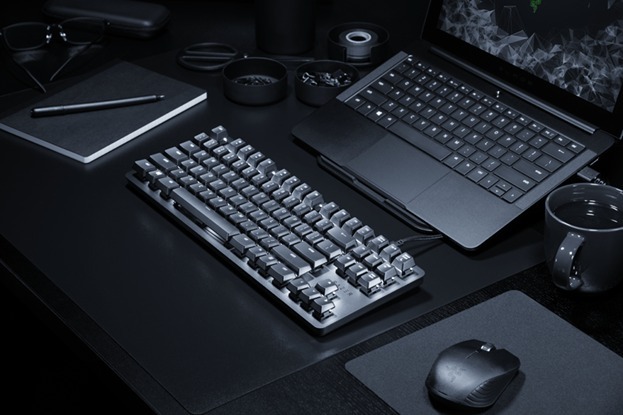 SAN FRANCISCO – Razer™, the leading global lifestyle brand for gamers, today unveiled the Razer BlackWidow Lite, a mechanical keyboard designed for work and play. The BlackWidow Lite keyboard boasts the powerful performance of a Razer mechanical gaming keyboard with a sleek, minimalistic profile that’s fit for the professional environment. Equipped with Razer™ Orange Mechanical Switches that provide near-silent, tactile feedback, the Razer BlackWidow Lite ensures the best typing experience possible while being discreet. Each switch is also tested for durability of up to 80 million keystrokes, providing durability far beyond standard keyboards.The Razer BlackWidow Lite also ships with separate o-rings for extra sound dampening and fatigue control.